​The Easton SP14S50 S50 Slowpitch Softball Bat is basically designed for unisex use, meaning any gender (male or female able bodied softball players) could utilize this product and they could select the right length to weight ratio they prefer. Smartly made from single-walled aluminum alloy, the bat is typically light but could deliver the necessary “punch” depending on the strength of the hitter. Gripping this bat does not require hard-pressing because its handle has the ideal length a hitter will find convenient. Considered as one of the best slow-pitch softball bat ever designed, the product lasts longer than any other brands because of its durable and corrosion-free materials. 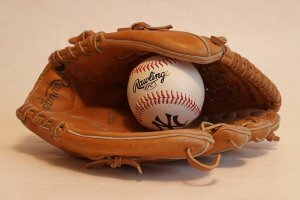 A softball is different from a baseball in a way that the former is much heavier than the latter. 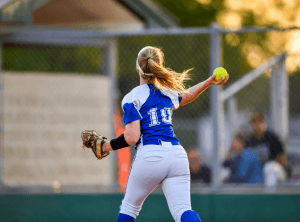 There are also two types of softball as recognized by the international community administering the game. 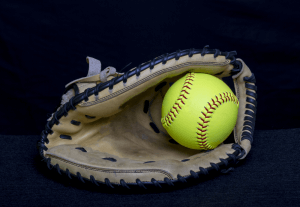 The “fast-pitch” and “soft-pitch” softballs are the two types. Certainly, the softball bat you should use depends upon the ball, so they say. 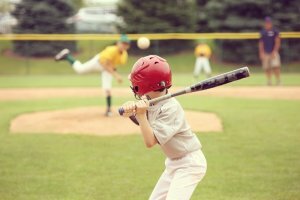 It follows that the bat is also classified as fast pitch or soft pitch. As the name implies, the Easton Slowpitch Softball Bat (S50) is categorized as a “slow-pitch” type of softball bat. Manufactured by one of the world’s premier producers of baseball and softball products, Easton boasts of great products designed to achieve the best in every player. Picking the best bat for every player, he or she should have the right feel, the right weight and length, and the proper balance. As some players choose wooden bats just like the old days, metal bats have been used in decades. The evolution and development of metal bats for use in softball enable players to stick to this type of bat decades ago. Metal bats are primarily durable, tough and corrosion-free, just like this Easton S50 Softball Bat which we are going to show you some of its enormous features and quality, best to hop in! This slow-pitch softball bat is fully-made from durable aluminum that never rusts and fade through prolonged used. The high-grade aluminum alloy is roll-pressed to attain its legendary shape and curves. Its end is full rolled-over seamlessly that is why it will not disintegrate upon contact with the ball. Virtually rust-proof, the bat is expected to lasts a lifetime. This material also gives the hitter comfortable grip on its handle because of its fine texture that is not annoying to the palm of the hands. The rust and corrosion-free characteristics of aluminum alloy enable this softball bat to be used even under the rain or could be soaked in water (if accidentally left behind in the playing field) without the possibility of corrosion. Even the knob of this bat is aluminum alloy, which protects the bat from slipping from the hitter’s hands. 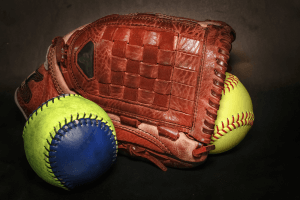 Since aluminum alloy is lighter than steel, the finished product (softball bat) is also light compared to other bats made from other materials (such as wood or plastic). The barrel (the thickest part of the bat) is carefully designed to have an equal distribution of weight enabling the hitter to swing the bat lightly but with enough force to send the ball farther. The end cap is totally sealed and seamless to keep water and moisture from seeping through the hollow barrel. The weight of the entire bat varies as the model varies, but it’s (the Easton SP14S50 model) weight range is from 25 to 30 ounces (1 to 1.14 lbs.). This equipment for softball is certified by ASA (the United States’ Amateur Softball Association) to conform to Non-linear Bat Compression Threshold (Model No. SP14S50). The updated version of this certification could be found in the ASA’s website dated Oct. 7, 2015. Described as single-walled in construction, the S50 Slowpitch softball bat performs well in any level of play. 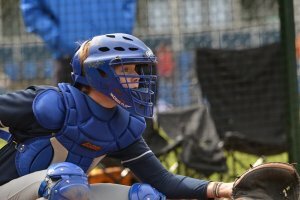 In softball, you could use fast or slow-pitch type of bat. The Easton Slowpitch Softball Bat (S50), primarily a soft-pitch type we have just reviewed, conforms to ASA’s product quality. The use of this type of softball bat could really pitch you to farther grounds during a worthwhile play. Hitters will not have a hard time using this bat as it is light and easy to strike even young players could handle. Surveys from satisfied users classified this product as low price compared to similar brands and models. This could be a very good bargain for budget-conscious players or teams.